If a headlight lens is cracked or a seal is broken or missing, water can leak in; you could have a puddle instead of just condensation. 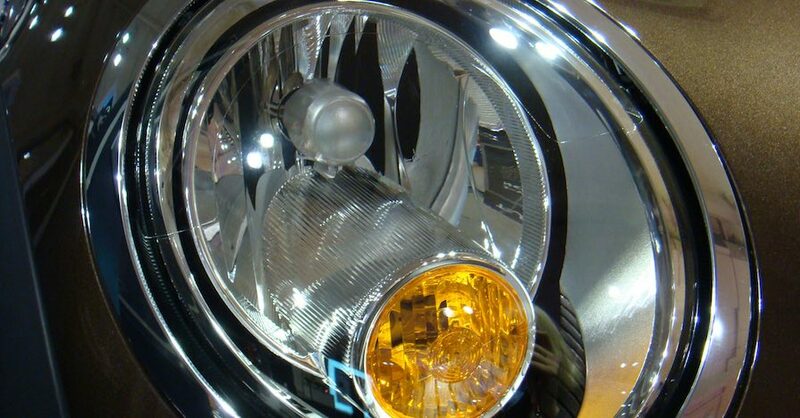 Even an undamaged headlight can develop condensation simply because of the natural heating and cooling of the bulbs. 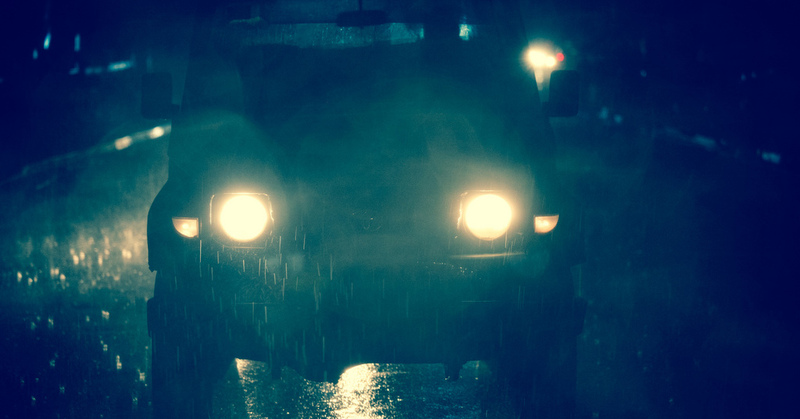 Driving on a humid night, for example, will heat up the air in the headlight housing, the moisture from the air will then condense on the inside when it cools off. To start, remove the headlight unit from the vehicle. This generally requires no more than a repair manual or intuition and some basic hand tools. Note that these same steps apply if you find condensation in your taillights. From the headlight unit, use regular hand tools to remove anything that you can, such as any bulbs, plugs, electronics and vents. Do not attempt to break the seal between the lens (usually clear plastic) and the housing (usually black, white or gray plastic), unless you are prepared to reseal everything, which can be particularly complicated and time consuming. Depending on the level of condensation, you can go in a couple of directions to clear it out. If the condensation is minor, then a bit of compressed air or a couple of desiccant packets can get rid of any moisture in the housing. If there is a lot of condensation, then you can use a hair dryer or even an oven to dry out the headlight housing. Use low heat of less than 180 degrees Fahrenheit to bake the moisture right out of the headlight. Once the headlight housing is completely dry, you’ll want to prevent it from happening again so you don’t have to repeat this whole process again in a week. On the modern headlight unit, there are usually a number of rubber seals, such as those sealing electronics, the bulb cover or O-ring, and the vents — not to mention sealant between the lens and the housing. Do a complete inspection of these components to see if you can identify where water might enter or where air might not be able to escape. Spiders are notorious for building their nests in the darnedest of places, and headlight vents seem to be one of their favorites. 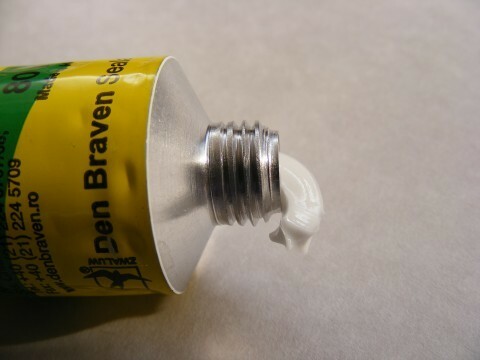 Use compressed air to blow obstructions out of the vents. Be careful you don’t blow debris into the headlight housing; it may be difficult to blow it out again. 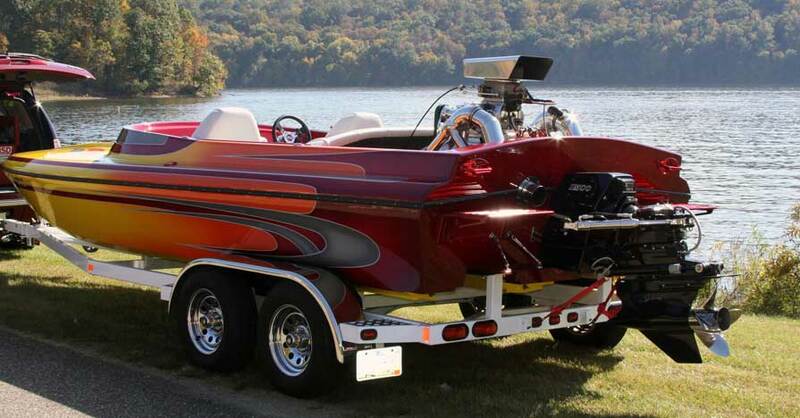 Make sure that any O-rings or seals are in good condition, replacing them if necessary. Use a little silicone spray to prevent them from splitting or shearing on installation. If you suspect the seal between the lens and the housing as the culprit, or you find a crack, then you can use clear silicone to seal it. Depending on the condition of the headlight unit, it may be more time effective to simply replace the whole unit. Once you’ve finished drying out the headlight unit and making any repairs, or have simply bought a new unit, be sure to follow all instructions on installation, plug in all electrical connectors and test that everything works properly again. Check out all the vision and safety parts available on NAPA Online or trust one of our 17,000 NAPA AutoCare locations for routine maintenance and repairs. 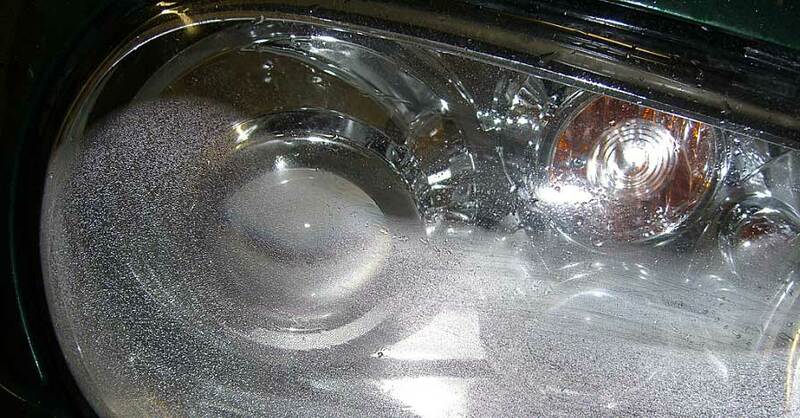 For more information on headlight condensation, chat with a knowledgeable expert at your local NAPA AUTO PARTS store.